The country town of Dwellingup has a rich history and is located in a magnificent part of the Darling Range. With many natural attractions and activities to choose from, planning is recommended to ensure you make the most of your visit. 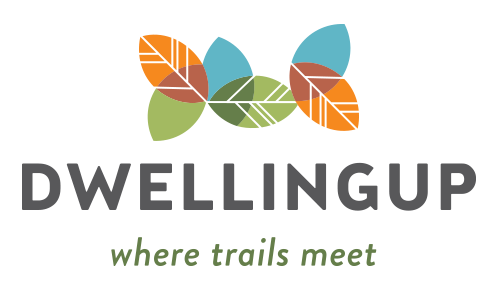 The Dwellingup Community has assembled this website Directory to showcase the many and varied Groups, Businesses and Activities available in the area. If you plan on staying for a while you may want to check through the accommodation options. There you will find a wide choice of adventure and camping accommodation facilities or if you prefer, more up market Chalets, B & B and Cabins. Our Adventure section highlights many of the trails, tracks and outdoor activities available. If you need supplies for your stay, see the Camping area where you can rent or purchase equipment and other items. A number of local artists have made Dwellingup their base, drawing on the forest and nature for inspiration. The Forest Discovery Centre provides a hub for artisans to work and showcase their craft and the tree top walk allows visitors to explore the forest’s historic and natural beauty. Local Clubs and Groups are also represented and often run special events where the general public are welcome to attend. You will find meeting times and locations listed along with news and reports of their current projects and activities. Don't forget to look at our Events section to check on the Calendar showing times and dates for special events and seasonal celebrations. If you need help, check out the other sections such as the Trades and Services listings for what is available in the local area. Our local businesses are listed and will be happy to assist you if they can. Information listed in this Directory is provided as a convenience to visitors and users of this website. While appropriate effort has been made to verify and maintain this information, it is provided by the organisations directly and is published in good faith by the operators of this website. They do not endorse or provide a guarantee of the accuracy or satisfaction with any of the products and services listed. Users of this directory should use the contact details provided on each page to further clarify the information to ensure suitability to their needs prior to booking, using or purchasing from any of these organisations.